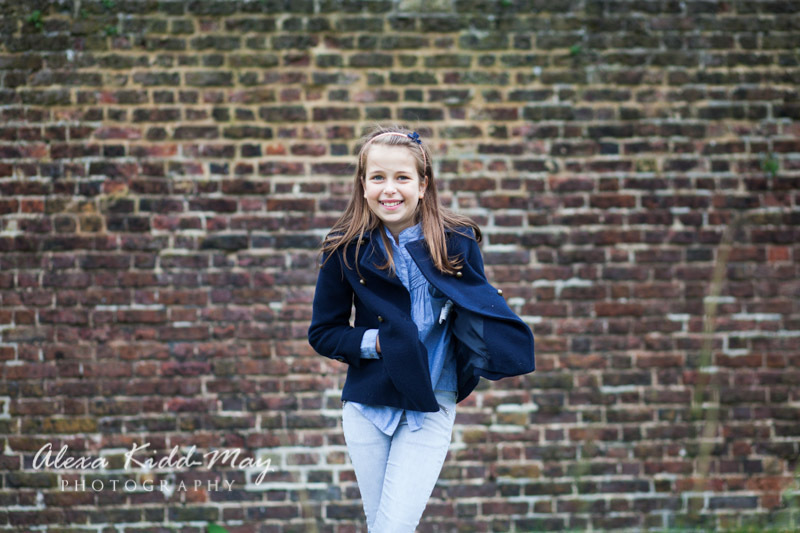 As a children’s portrait photographer in South West London I feel incredibly lucky that a lot of my photography sessions take place close to where I live. I love travelling all over London and exploring different areas and taking photos in various parks in the city. 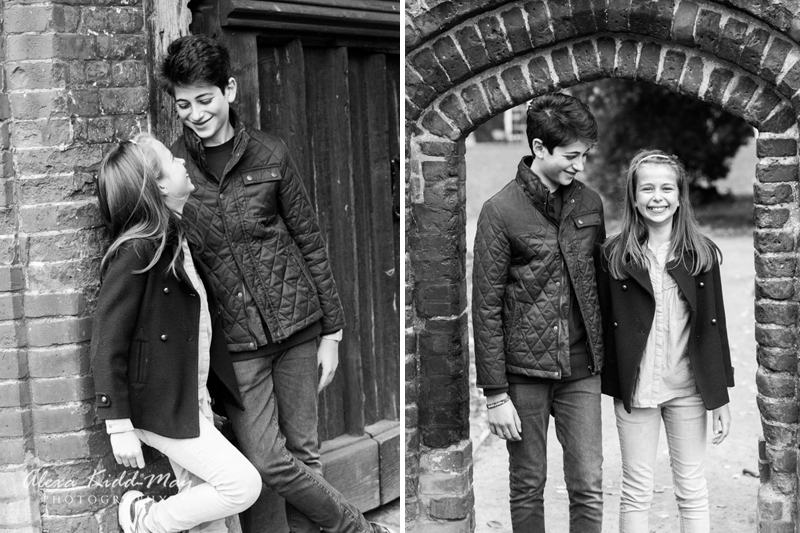 But it’s also nice to do a family shoot close to home, in a place I’m familiar with. It’s amazing that however many times I photograph in one setting, no two shoots ever work out the same. 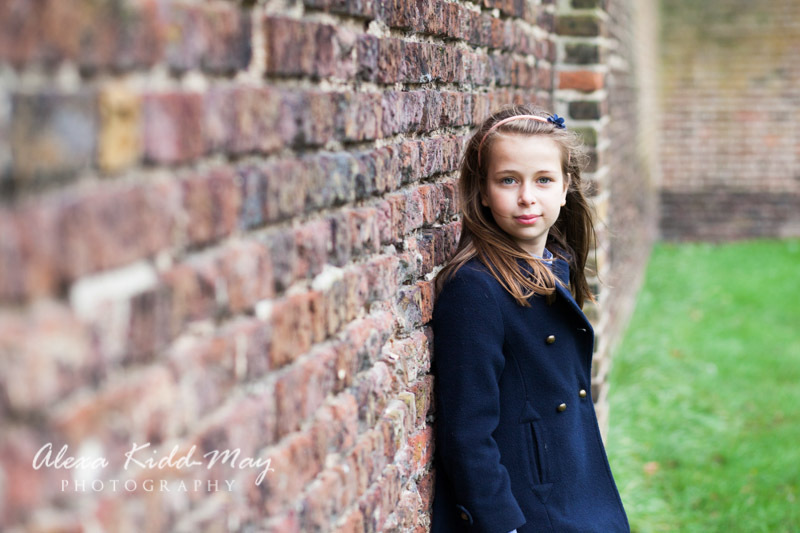 There are so many different ingredients to a children’s photography session. The subjects themselves are different, the light is constantly changing and the time of year greatly alters the landscape. This is wonderful for keeping each session fresh. It feels great to produce a wide variety of images each time I photograph a new family. 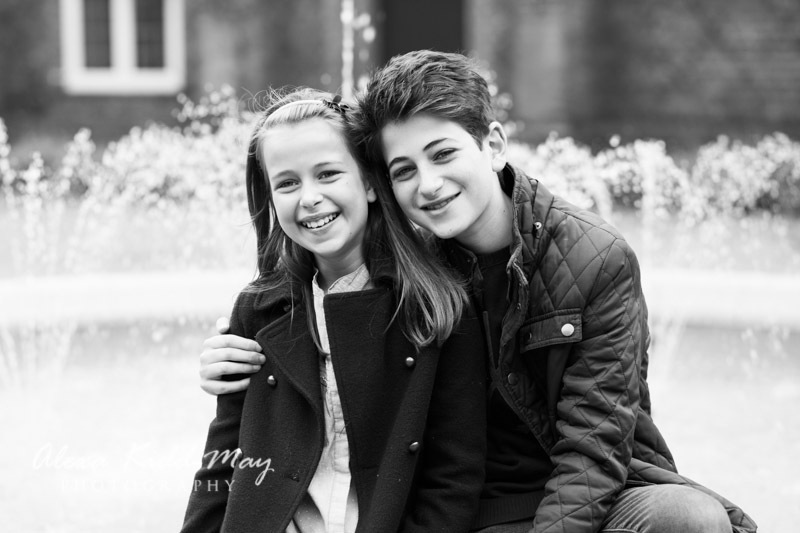 I was so happy to photograph these two charming children again in South West London. I’ve photographed them a couple of times before with their extended family, but this time it was just about the two of them. Mum had booked it as a surprise Christmas gift for their Dad. It’s not easy to keep these things quiet but the children were determined to keep it a secret! 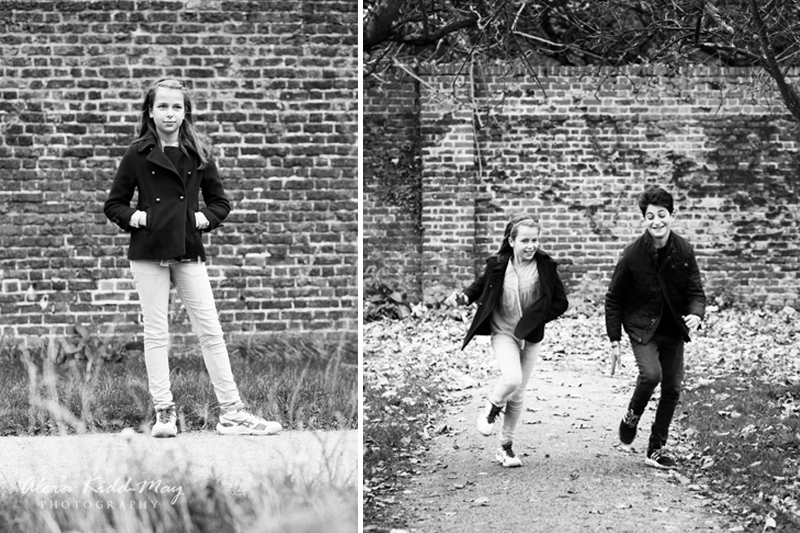 We met up last November in one of my favourite settings for children’s photography, Fulham Palace. 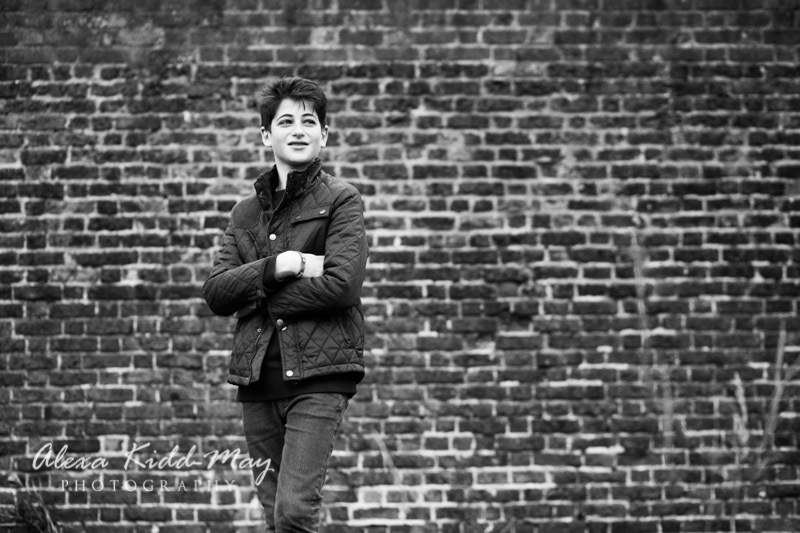 The weather was very kind to us and we had a wonderful mild morning to get the images they wanted. 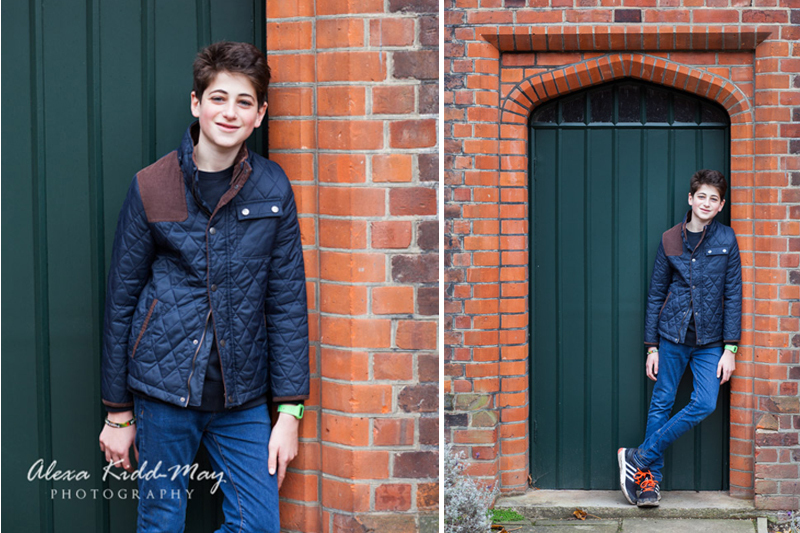 We started off in the courtyard, where the fountain, lovely bricked walls and interesting doorways all provide great backdrops. Then we headed into the “secret” walled garden, which is always a favourite for families and children of any age. 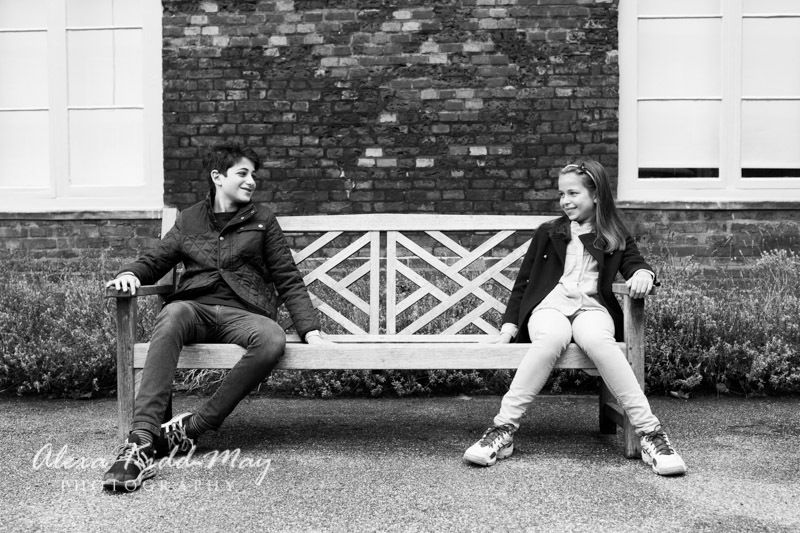 Here we captured a mixture of relaxed and more formal portraits of the two children. The kids themselves were an absolute delight to work with. They were so easy going and comfortable in front of the camera. 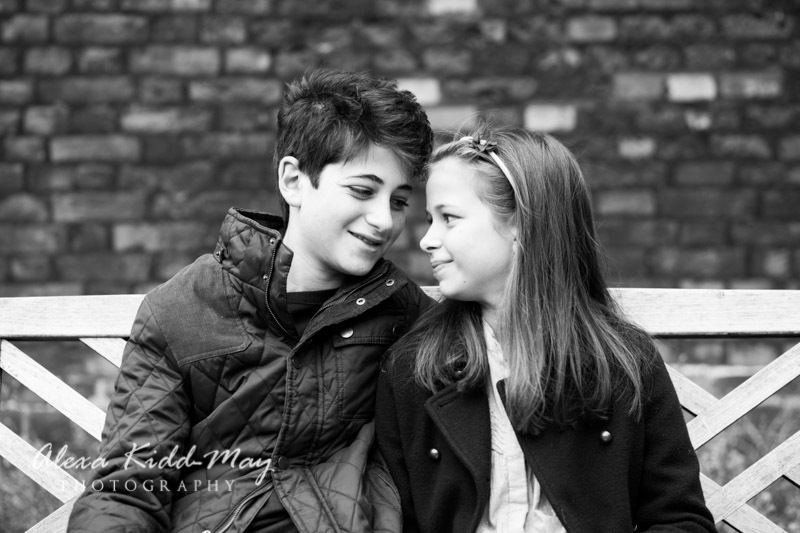 They also got along really well together, so as well as getting lots of individual shots it was lovely to photograph them looking so happy interacting with each other.